Phil Prew, Head of Vehicle Performance, McLaren, joined the team in May 1997. 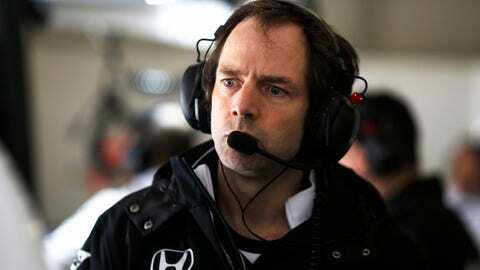 Veteran McLaren engineer Phil Prew has left the Woking team to join Mercedes. Prew will take on a senior role at the Mercedes AMG High Performance Powertrains facility in Brixworth, as chief engineer. His presence will ensure that the power unit division has a man on hand who has detailed knowledge of the chassis side, helping to improve integration even further. Prew stopped work at McLaren several weeks ago, and is currently on gardening leave prior to taking up his new job on Jan. 1. His departure is a major blow for McLaren. He joined in May 1997, and has been a mainstay of the race team ever since, latterly as chief engineer. During that time he worked closely with current Mercedes technical boss Paddy Lowe and Lewis Hamilton, two others who have switched camps.